Esther the Wonder Pig is 600-pounds of porcine celebrity and she's using her star power for good. Cared for by Steve Jenkins and Derek Walter, who own the Happily Ever Esther Farm Sanctuary in Milton, Ontario, Esther has over 1.3 million followers on Facebook. After falling ill last year and being referred to the University of Guelph's Ontario Veterinary College, it was determined that Esther needed a computed tomography scan (CT) scan, but her size prevented her from fitting into the college's machine. Her weight actually prevented her from receiving an MRI anywhere in Canada. Jenkins and Walter are leveraging Esther's social media following to help bring a CT to the OVC, where it will help more than just pigs; it will help other large animals as well, including horses. The CT they chose was the Pegaso CT Scanner, which provides very high-resolution images using less radiation. 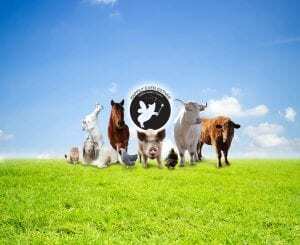 This entry was posted in Horse Care, NL List and tagged canada, CT scanner, Derek Walter, Esther the wonder pig, Guelph, Happily Ever Esther Farm Sanctuary, milton, ontario, Pegaso, pig, radiation, Steve Jenkins by Paulick Report Staff. Bookmark the permalink.